Rebetiko Festival: nostalgia is not a dirty word | Daily Review: Film, stage and music reviews, interviews and more. Rebetien are four musicians (pictured above) from Athens who are headlining this year’s Melbourne Rebetiko Festival. I spoke to bouzouki player, vocalist and the group’s co-founder Fotis Vergopoulos as they were about to hop on a bus to Port Fairy Folk Festival and then fly to WOMAdelaide. Rebetiko began as the music of Greek refugees from the Asia Minor Catastrophe of the 1920s. Its music and the lifestyle around it linked easily with the emerging jazz of the 1920s and the new Balkan sounds that maintained their roots rooted in Byzantine, Turkish, Middle Eastern, Sephardic and jazz idioms. Rebetien’s music is nostalgic. Nostalgia is a Greek word meaning sickness of longing and it is an apt description of Rebetiko, and of Greeks. Rebetiko was once the voice of the dispossessed. It arose from the crowded ghettos in the ports of Thessalonica and Piraeus. It was the music millions of unwanted Greek refugees from 1913-1923 brought with them. These Greeks were seen as Asian orTurks, and were looked down upon by mainland Greeks who were desperate to be ‘European’. But Rebetiko music has no ethnic or national boundaries. It is open to all from the east, the west, south and north. “People love Rebetiko, young and old, and it is being rejuvenated as new people learn to play it in new ways,” says Vergopoulos whose band’s dense acoustic timbre is built on accordion, double bass, violin, bouzouki and guitar. 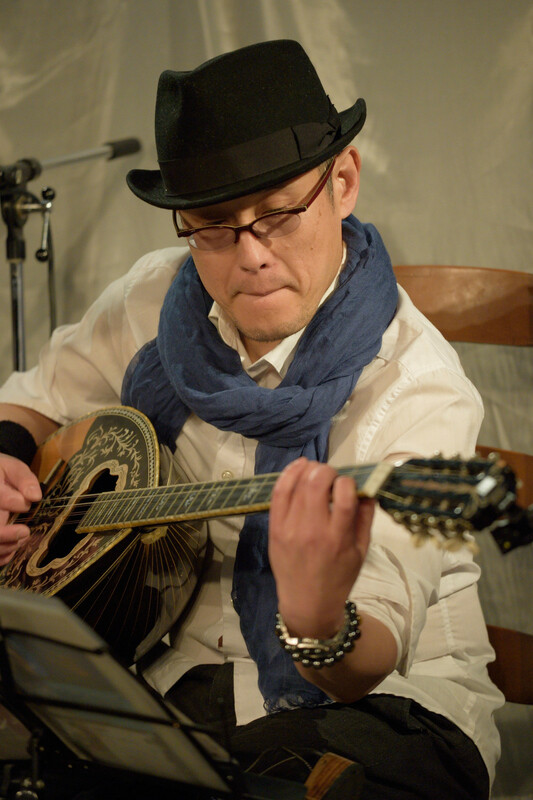 The global appeal of this music is evident in Japanese Rebetiko artist Atsushi Tookaya (pictured below) who will feature in the Festival. In a report in Neos Kosmos, he equated Rebetiko with Enka 演歌, a Japanese ballad style. Vergopoulos was born in Melbourne and lives in two worlds. His father Nikos was an inaugural member of Apodimi Kompania in the 1980s. Apodomi Kompania were the first Rebetiko ensemble in Australia and the first ‘world music’ group to produce records as “New Australian music”. They too, left Australia and established an admirable career in Greece, across Europe and the Middle East. Rebetien’s other members include accordion player and vocalist Avgerini Gatsi, violinist and double bass player Giannis Zarias and Kostis Kostakis on guitar. Gatsi studied classical music at the National and the Kapodistrian universities of Athens and is educated in western and eastern classical music forms. She learned from some of greats in Turkish music including Omer Erdogdular a master of the ney, Yurdal Tokcan the exemplar of the oud, and Mercan Erzincan a leading exponent of the Turkish grommet song. When Vergopoulos settled permanently in Athens he met Kostakis and Zaris, and together with Gatsi they created Rebetien. The band’s guitarist Kostakis studied and classical guitar at the Music Conservatory of Athens and later fell into electric guitar falling became part of Athens’ alternative rock scene. As with any conversation about contemporary Greece, the discussion inevitably leads to the Financial Crisis that crippled Greece from 2008 to 2016 and its impact on life, not least on music and the arts. 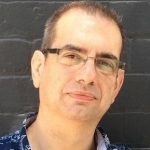 Vergopoulos says that the themes in Rebetiko, like those in Flamenco and African American blues, “are about love, loss, poverty, migration, oppression – constant themes”.